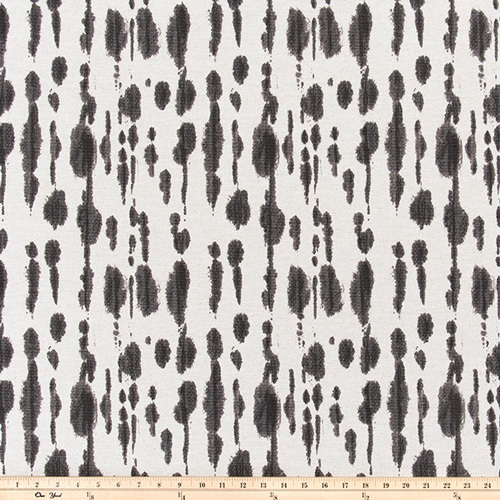 Calynn Shadow Belgian home decorating fabric. Suitable for drapery, decorative pillow covers, crafting, headboards or upholstery. Made in the USA. Heavyweight fabric (10-11.9 oz). Colors include muted black\gray and off white.